Performance factor fitness and martial arts is a Martial Arts School offering Kick Boxing, Mixed Martial Arts (MMA), Shorin Ryu Karate & Tai chi classes in Kingsville, TX for kids, men and women. Performance factor fitness and martial arts is Located at 1724 S Brahma Blvd..
View a Location Map, get Directions, Contact Performance factor fitness and martial arts or view program details below. If you are a student at this school, help your local Martial Arts Community by writing a Review of Performance factor fitness and martial arts. You can also help your school by sharing it on Facebook, Twitter, Google+, Pinterest etc. Been in shorin ryu karate since 1990. Trained for three years in Okinawan Kenshin Kan in Okinawa with Hanchi Fusei Kise. He also trained in Kobayshi shorin Ryun for 6 years under Caesar Marin, in Perland TX. Classes are $50 a month no contract. Ages 12 and up for Kickboxing and 3 and up for Karate. Would you like more information on hours, classes and programs available at Performance factor fitness and martial arts? Please contact the school with your questions. Update the details, Write a Review or Report Error of Performance factor fitness and martial arts. View all Dojo in Kingsville or in Zip code 78363. This Chart shows the Martial Arts Styles offered most in Kingsville, Texas area. 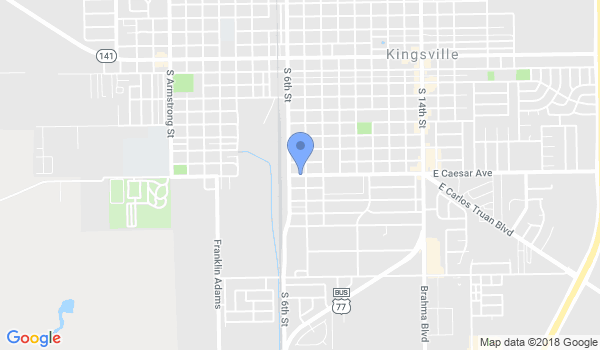 View a list of Dojo in Kingsville, or enter your address below to find schools closest to you.